IFA 2015: ALCATEL ONETOUCH intros GO WATCH smartwatch, GO PLAY phone, 4G Car WiFi and WiFi Music Box devices. ALCATEL ONETOUCH today introduces its brand new GO family at IFA, Berlin. GO PLAY and its companion GO WATCH are designed for active users and always ready for action. 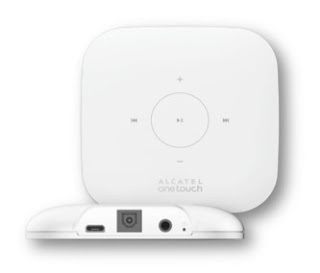 ALCATEL ONETOUCH also announced new additions to its line of connected products at IFA 2015. Adding to its already ample line of smart connected device, the mobile brand introduced 4G Car WiFi, for rapid Internet access in a vehicle, and the WiFi Music Box, which enables users to control their home's sound system with ease from a smartphone or tablet. GO WATCH is the perfect companion for GO PLAY. It is waterproof, dustproof and shockproof. It is Android and iOS compatible and has top functionalities to match its robust good looks. It also notifies about SNS, SMS, emails, calls and weather. 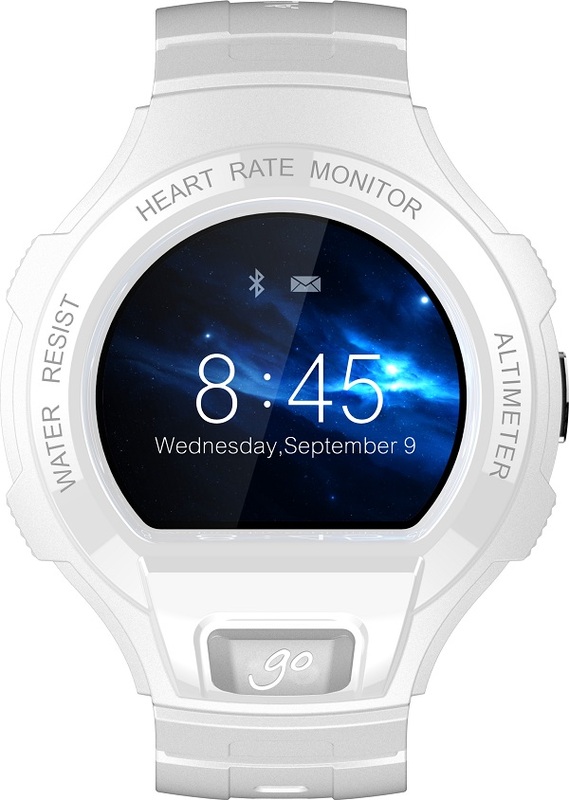 GO WATCH is 100% customizable with a changeable front casing and wristband. The GO WATCH brings a unique experience and lets users hack their emotions. How? Press the GO button to trigger an emotion pulse measurement. An emotional graphic will be created based on the input from the gyroscope, heart rate sensor and accelerometer. Select a theme that matches your mood the best to create your personalized emotion pulse. You can instantly share your unique emotion pulse on social networks or even set it as the wallpaper of your GO WATCH. 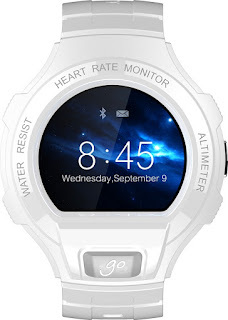 GO WATCH enables 2-5 days usage with its 225mAh battery. No special adaptors needed. Simply plug it into any micro-USB charger for quick and easy charging. The GO PLAY is waterproof, it shoots pictures and videos underwater with its 8 Mpxl rear camera and 5 Mpxl front camera. It's Waterproof. Dustproof and shockproof. You can broadcast your craziness through the cool pre-embedded Periscope, Vine and Zello apps. GO PLAY comes in eight cool colors - dark grey, dark red, dark green, orange blue, pink, lime green, blue and orange. There are also waterproof headsets and protective case to match GO PLAY too. 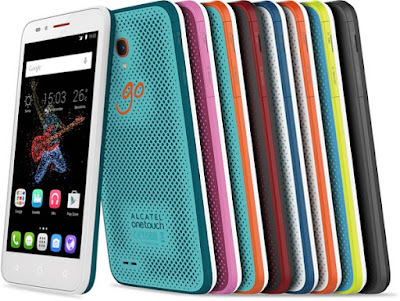 GO PLAY offers 20 days of standby time, 8.3 hours of talk time and 55 hours music playback thanks to the powerful 2500 mAh battery. 4G Car WiFi enables rapid Internet access in a vehicle, connecting up to 15 users. The 4G Car WiFi is 100% compatible with all car models on the market. Just plug it into a car's cigarette lighter and it connects up to 15 devices wirelessly. Its sleek design, with a LED display, also supports the charging of user's tablets, cell phones, laptops, cameras and the like thanks to an integrated USB port. A dedicated application, compatible with Android and iOS, allows users to control and update 4G Car WiFi remotely. WiFi Music Box enables users to control their home's sound system with ease from a smartphone or tablet. The new WiFi Music Box lets users play DJ from any speakers at home with a single smartphone or tablet through Wi-Fi network. Users can choose local or online music, playing their lineup in one room or multiple rooms at once. WiFi Music Box is compatible with the most popular music streaming services and with all Qualcomm AllPlay devices. It's simply just a matter of connecting a WiFi Music Box to each speaker and installing the Music Box app on a wireless Android or iOS device. From there users select the speaker or speakers they want to push their songs to, setting different moods in different rooms: disco in the living room and ambient instrumental in the kitchen. 4G Car WiFi will be available in Europe in October 2015; WiFi Music Box will be available worldwide in October 2015.